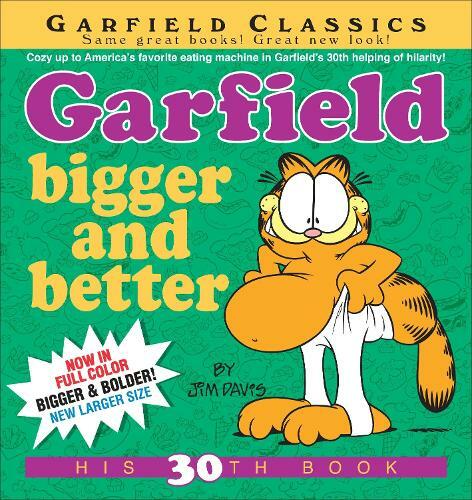 From America's #1 funny feline comes a repackaged edition of Garfield's thirtieth collection of classic comic strips, in the new larger, full-color format. Whether he's down on the farm, lost in a world of his own, or camping out with the gang, Garfield always finds a way to keep life interesting. Now, that might be bad news for Jon and Odie, but it's great for the rest of his millions of fans, as Garfield takes the spotlight for his thirtieth star turn! Or, as Garfield might say, when the going gets tough, the tough take a nap.